CASE STUDY: How Justdial became a Billion Dollar Company? Home > Blog > Blog > CASE STUDY: How Justdial became a Billion Dollar Company? Justdial is India’s search engine for local search market which initially started as a classified website but soon transformed into a local search engine. The company employs over 9,000 employees in 15 different offices spread across the country. It has a record 12+ million listings in its database offering services in more than 2000 small and big cities of India. 2) CASE STUDY- How Fashion and You lost its No.1 position in Indian fashion e-commerce industry? 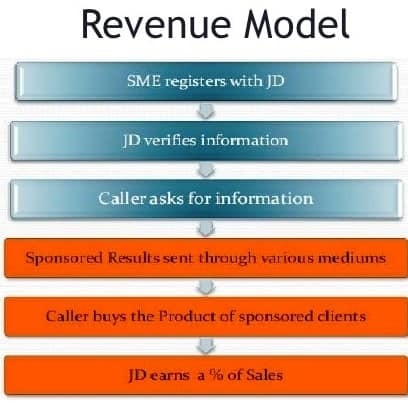 How Justdial came on the platform? The company was grounded in 1994 with an investment of 50,000 rupees in a hired garage with borrowed furniture and rented PCs with just 5-6 employees. In a short span of time, Justdial has become the most frequent local search website in the country. With continuous success, Justdial has entered into other countries with the same success model. Currently it has operational offices in UAE, Canada, UK and USA other than 15 offices in India. V.S.S.Mani, the founder of Justdial, in his initial days was working as a sales person ina yellow page company, United Database India (UDI), which injected a business plan inside him to create a database like UDIwhich would be available over the telephone. He worked in thatcompany for 2 years and according to him, these two years were the time that prepared the ground for his entrepreneur startup. He credited these two years far superior than any MBA program because what he had learnt here was not going to be taught in any of the MBA programs. He met with entrepreneurs from different business line and learnt many strategies from them. Thus implementing his idea to reality, he withsome of hisfriends launched “AskMe” in 1989. Although the company was erected, it failed shortly because of one of the most important causewhich was low penetration of phones in India at that time. According to a report, only 1% of the total Indian population had telephone in 1989 and itdid not favoredthe business model much. Also, People were able to remember the name of the company “AskMe” but the number was not on their lips because of its complexity. So the business failed shortly. Mani was disappointed but not hopeless. He distributed his shares to his partner friends and left the company. This was not the end; Mani was planning for his second inning. He planned to move into a business of “Wedding Planning”. His family members were supportive for him. He along with some of his friends invested an amount of 50,000 rupees in the “Wedding Planner” business. Although the business gave them a profit margin of 2-3 lakhs, but Maniwas not happy with the kind of business model. So he again headed towards his original idea of making a platform for local search destination. What Business Model Justdial is following? Mani agreed to the fact that he had made mistakes earlier and had learnt many things from his failure. And with a new start, he moved on with a fire in heart to become a leader in the local search destination. Mani focused more on getting a valuable number rather than to have a unique name for the company, which proved a big mistake to his previous venture “AskMe”. This time hesucceededand got the number 7 times 8. After getting a catchy and unique number, next task for Mani was to create a database of businesseshaving all the required information which a user searches for. The process was started by moving door to door. Information was collected by approaching the local businesses personally by a team of Justdial.This process continued and the team had now a healthy database with them. But next stage of the business was to bring users touse their information. This was a tough task for the team as the management was lacking in fund and was unable to afford the advertisement cost. So they decided to convince their current clients only in the initial stage. The clients were to ask their employees to use the service of Justdial. Also, rather than to focus on big brands and names, the company focused on the diverse local businesses which people used to search generally like carpenters, plumbers, mobile shops, painters and many such others. This worked quite well for Justdial and with word-of-mouth model; the brand became popular among the mass. The company was onthe track and wasready to start earning from its business model. One among its 10 clients agreed for a sponsored listing and the company started gaining the revenue. The low price of the product helped Justdial in capturing the market quickly and each month they ended up with additional revenue. This spare money helped them in hiring more sales staff. The clients showed faith in the brand and paid in advance for the service. The company had now Negative Working Capital with it and this proved to be like a panacea for them. They started to expand their service not only in categories but also in geographies. The B2B and B2C servicewas available on a number of platforms like phone, internet, mobile internet and SMS and now the growth of mobile and handheld devices has motivated Justdial to launch its own mobile app for Android, iOS and blackberry. SAIF Partners, Sequoia Capital, Tiger Global, EGCS and SAP Ventures showed interest in the growth of the company and invested in the company. In June 2012, Justdial raised $57 million from the existing investors including Sequoia Capital and Sapphire Ventures. Earlier too, the company had raised funding of $10 million in June 2011from the same investors. The fund was utilized wisely by the management which increased the brand value in the industry. The funds were utilized in the process mentioned here. Enhancement of Company’s SME Relationships. Extensioninto New Products and Services . Gaining Licensing to Expand Into New Geographic Markets. What promotional and marketing strategies Justdial followed to reach the customers? Just Dial used traditional as well as digital media to promote its business including Television, Print and Radio as well as Online media. The base of the promotion was made easy in the initial stage of establishment of the business by selecting a super easy number 8888888888. Amitabh Bachchan and Boman Irani were endorsed as brand ambassador to promote the brand over television and radio. According to a disclosure by the company in its IPO prospectus, Bachchan was allotted 62,794 shares at a price of ₹10 each in 2011, valuing his original investment at just ₹6.27 lakh. His holdings are now valued at around INR 9crore. Justdial used to place a hoarding outside the crowded place like international airports, major railway stations with a book in hand showing all numbers. During the wedding seasons, it always started marketing campaign to offer the numbers of shopping spots across various locations. Justdial participated in the sponsorship of IPL in the year 2014 as an official partner of Royal Challengers Bangalore. For the year 2015, the brand was an associate sponsor for Delhi Daredevils in the IPL 2015. Justdial also gained popularity through simple word-of-mouth strategy which was coming free of cost for them. To promote more and increase its reach, the company hooked up with a radio station 93.5 forhosting promotional ads to win vouchers worth 2500. Justdial launched its mobile app to reach in the pocket of each user. Android app and i-phone app was developed keeping in view the increasing market of smart phones. Justdial also collaborated with Zomato to provide food coupons to its users. It also started an online food ordering service and ticket booking service in selected cities across India. How the Company Generated Revenue? 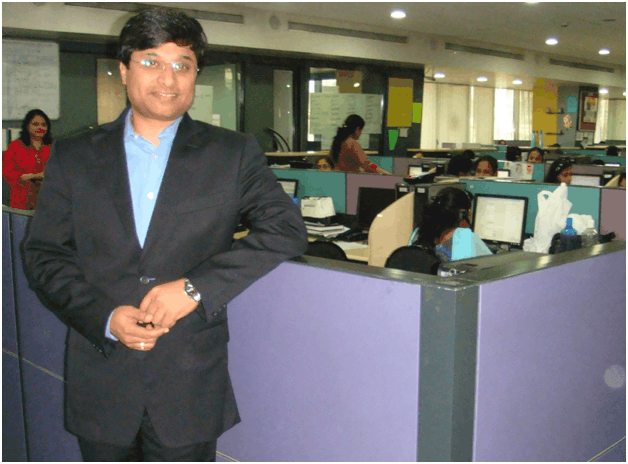 Why Justdial kept on revolutionizing its Model and Platform time to time? Justdial kept on revolutionizing itself regularly according to user’s need. Initially from a telephone directory based model, the company had moved on to Internet based model and now it is working on mobile device. Earlier, users had to call Justdial for any number and they were to pen it down. But with the implementation of new technology, an SMS is sent to the users on their registered mobile numbers with all the search results. Along with the SMS, an email is also sent to their corresponding email-id. What worked in favor of the company all the time? 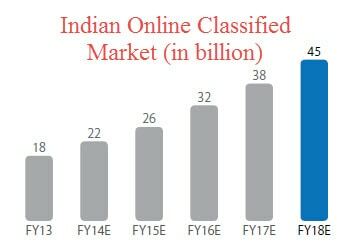 First Mover Advantage in the Indian Local Search Market:The Company had started its service in 1996 and believed that they have a first mover advantage among the customers seeking local business information. Long standing presence in the local search market. Strength and quality of Company’s database. Experience and Expertise in Local Indian Markets:Justdial have been functional in Indian market since last 18 years and the management team has gained extensiveknowledge in the core marketing sector including search service, advertising and IT industries in India. Multiple platforms:Justdial has offered multiple platforms for using the services including Internet, mobile Internet, voice or SMS and now mobile app is adding extra advantage to the business. 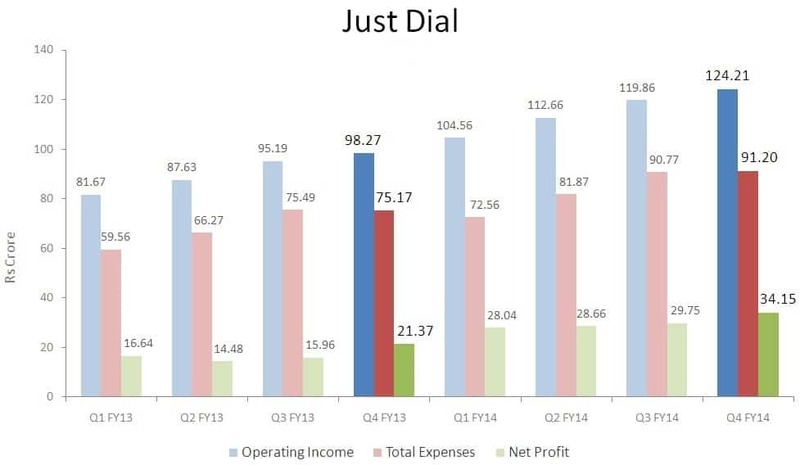 Efficient and Profitable Business Model: Just dial believed their business model a superb one which contributedhighly in the cash flow. The Company believes that their business model is difficult for competitors to replicate.